Go to the Comfortable Chair Store in Roswell. You can Google it to find it. You will walk in the owner will see you and then she will tell you the best chair for you! I'm 5' tall and I purchased a guidling, swivel, recliner for the same prcie as a typical glider. Turns out me and my babies like reclining more than gliding, but I love that I have options. The have tons of costum fabrics and they are able to get them made much quicker than any other store I've found. Oh that's good to know! I will check them out. Thanks, Oliva! I see the last paragraph now:) Totally agree--babies can be so gross:) In that case, I'd just get another nice glider--you'll regret buying a cheap one--it won't be comfortable for those late nights and early mornings. I would move the PB glider to the new baby. It's tried and true, and who wants to deal with something new when you are tired and exhausted and feeding a baby in the middle of the night? And that's what you planned to do when you purchased it. HDawg can get something new for his room, whether a loveseat or something else and it might even end up being more suitable to his needs as he gets older. Maybe a really huge stuffed armchair for cuddling and reading? I think you're on track! Definitely good advice, thank you! I don't know about you, but I didn't need to "rock" Noah to sleep until he was a few months old. When he was a very little baby he would just fall asleep sitting in any chair. We also splurged on our glider, so I can't give you advice on a good "cheap" chair. But I would maybe hold off getting anything until you find that you really need to rock the baby to sleep. At that point, HDawg might not really need a gliding chair and you could make do with the couch or regular chair option. That's a very good point. I'm not even sure H needs the rocking... it's probably all a Michelle/David habit!! Check out best chairs. 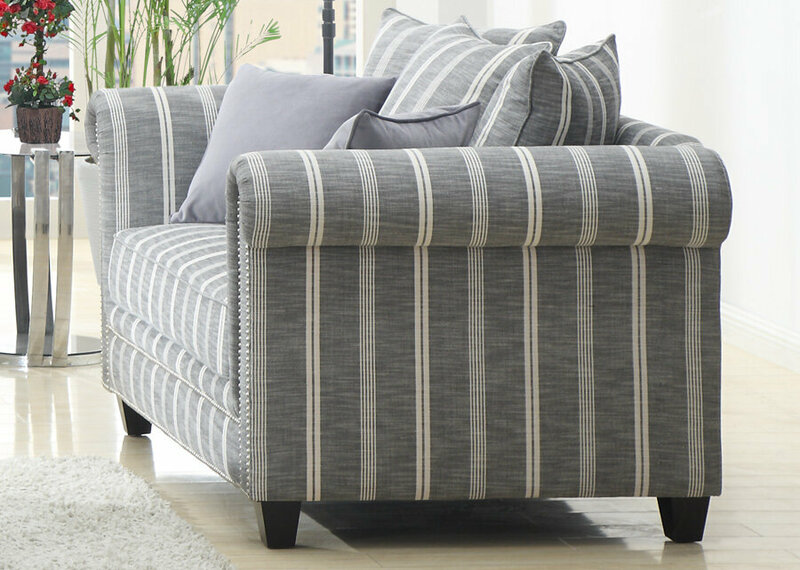 We ordered one from a regular furniture store, picked our own fabric, etc and it was 300. They have a storytime collection, but we ordered just a regular old swivel glider from their everyday furniture. Hope that helps. We got ours from Cadwell Furniture in Cadwell, Georgia. They have excellent prices, and you may be able to get a local to your store to price match. Hope that helps! Awesome, checking them out right now! Thanks for the advice! 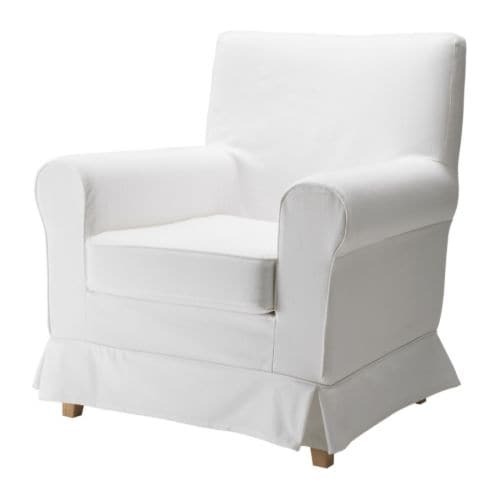 I think moving the PB chair to the baby's room, and then buying something else for HDawg's room is your best bet. It doesn't have to rock right? You could even buy something you know you'd use as actual furniture later? We bought one similar to the first glider you mentioned at the very top for our son's room. I wish we had gone with something larger and more cushy, but space and our budget didn't allow that. It's been really well used though and we'll give it away when we no longer need to do any rocking. PS Good luck! I can't wait to see what you chose! My friend found a great, comfortable, and inexpensive one at either Wal-Mart or K-Mart last year! 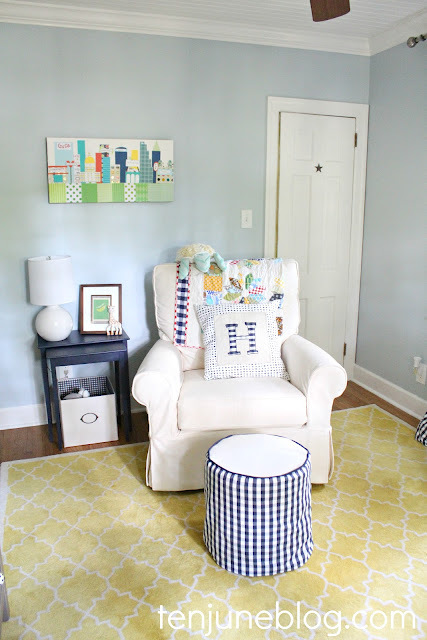 I agree with Colleen that I would bring a loveseat into HDawg's room once the baby arrives and you want to rock with the newborn. Seems like it has the most long-term potential! he might be excited about having "big boy" furniture! We had that exact Target glider! I used it for 4 years with Jackson, then moved it to Sloan's room for another 4 years. I thought it was comfy, and loved that it didn't take up a lot of space (or cost a fortune). I have to disclose tho, that I would not spend long periods of time in it. I was a 'get up, feed them in rocker, put them back in crib, go back to my own bed' kind of nurser...know what I mean? So I didn't need it to be a 'second bed.' I can't believe you're already 8 weeks out!!!!!!!!! i also bought a target glider that I still love - my little guy is 14 months and we still read and rock in it at bed time. it is super comfortable and looks nice too. i think it was 350ish. good luck! Yes, I think the glider should move to the baby's room and then get HDawg something that can grow with the family. 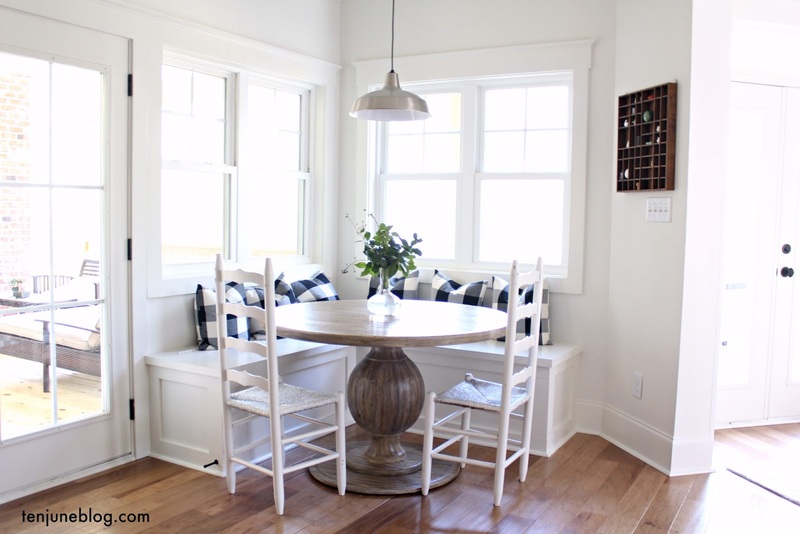 I imagine a loveseat or oversize arm chair could always be moved to the playroom or family room down the line. Do y'all still rock E? I think the rocking is just OUR habit, not H's preference! AH! I am in the same boat! I've been hoping and praying that PB puts its gliders or rockers on deep discount over the holidays, but no such luck so far. I did find a glider at JcPenney that has good reviews, looks similar to the PB ones, and costs much less. Its called the "Jorden Glider". I like the idea of getting something new for hdawg's room and putting the glider in the baby's room - I think after having the luxury of the PB glider anything else might feel like a waste so hopefully this way you can have the best of both worlds! Good luck! Craigslist. Those things are all over. Why buy new? And per your last graf on the grossness of secondhand: buy a glider similar to the first one you show with completely detachable cushions and either throw 'em in the washer or just make some new ones. Pretty simple sewing project or easy to contract out to someone local. Easy peasy and gives you a few blog posts to boot. Ha! Very true. Now just to find the time and energy to break out a sewing project like that ; ) Definitely a good idea, though. Thank you! we have the delta bently glider and LOVEEEEEEEEEEEEE IT! VERY cute! Glad to hear you like that chair, it's a contender! definitely move the rocker to the babies room and invest in some other type of chair/loveseat that you can all enjoy in his big boy room. Can you buy something for HDawg's room that could be used as seating now and turned into his big boy bed later? Sort of like a daybed? I know he is still far from that transition, but you would at least have a comfortable and eventually functional piece in his room. That's definitely an idea... I'm loving the Ikea day bed for that! Hm, we shall see! I would move the glider to the new baby's room and find a new chair for HDawg's room. We found a great reading chair that was pretty inexpensive at a furniture warehouse. Plus, he'll be in a big boy bed soon and you can snuggle in there too. I say move the glider to the new baby's room because you are going to be spending your way many hours with the new baby, rocking and nursing. Put a cheap option or couch for your older child! Since you are considering a love seat for HDawg's room, what about a daybed? It would be as useful as a loveseat and then do double duty as a big boy bed to transition to or if you have a visitor, it could be fun for the first sleepover. I would totes move the PB glider to the baby's room and get HDawg something new! I'm due around the same time as you (Valentine's Day!) and we got this glider from Target for $450. http://www.target.com/p/little-castle-charleston-swivel-glider-solid/-/A-14236372 It was the cheapest, yet nicest option I could find that wasn't one of those (pardon my French) UGLY wooden gliders. It's not slipcovered, which I'm a tiny bit worried about, but I think I'll have plenty of burp cloths on hand anytime we're using it. If you use it for HDawg, though, hopefully having a slipcovered chair won't be as important. Good luck! Awesome, I will check that one out. Thanks, Jenna! Best chair brand makes very reasonably priced glider/rockers. And very comfortable. We have one that's 4.5 years old, lots of hours of nursing, rocking, and reading, and it's still just as comfortable. Do you have a friend who would be willing to lend you their baby glider for a while? It'd be used, but at least you would know who it was coming from and any stains etc. on it wouldn't seem so yucky! 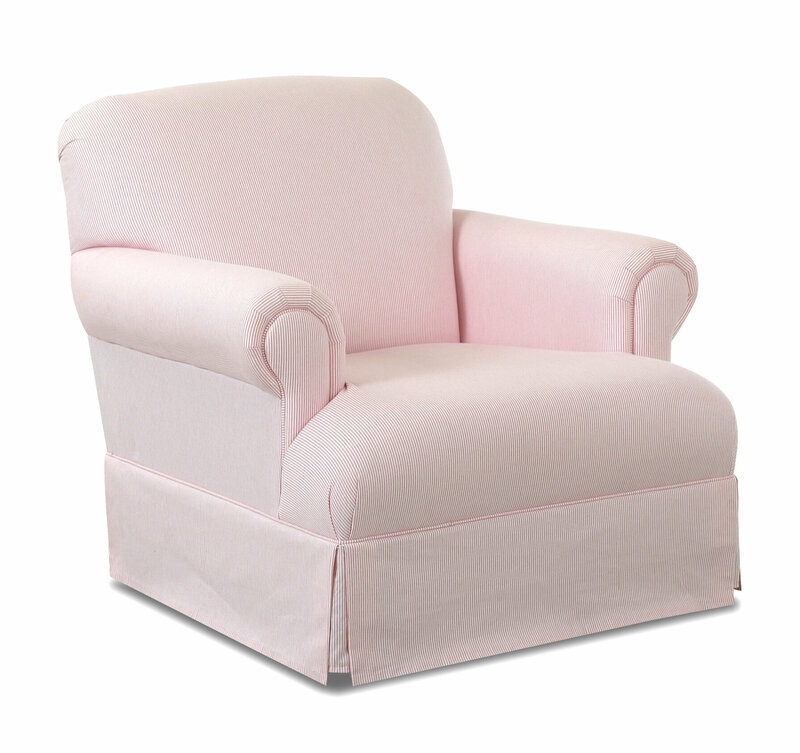 i didn't read the other comments…so this may have been suggested: put the nice glider in the new nursery and do a less expensive rocker in your other babe's room. however…i fully, 100% vote on buying a versatile piece of furniture. i love the idea of the couch or even a chair and a half. i'll definitely be purchasing a versatile piece for our next babe. I have an idea! When I was pregnant with our first child, I really wanted the PB rocker look without the price tag and searched high and low (and high and low!) to find something. Can you believe that I found it at walmart.com?!?! Seriously. Check out the Dorel slipcovered rocking chair; I'd highly recommend. We have had it for almost 3 years and I have nursed, rocked, and/or cuddled now TWO children in it daily and still absolutely love it. The only downfall is that it doesn't rock the best on carpet; a glider is definitely smoother. However, we really aren't bothered by this and it has worked well for us! The fabric cleans up beautifully with just a damp cloth (we have the beige color) and for what it's worth, it comfortably fits me (5'8") and my husband (6'2"). Hope that helps!!! Great suggestion! I think we're leaning towards gliders and not rockers but I will definitely check it out. Thanks! We found a great glider on Craigslist for $75 in prime condition, it took a little digging and checking the site weekly for a few weeks, but it prevailed. I'd recommend at least a look!